Today is the first time I have heard of edamame and now twice in the same day. I have just purchased frozen edamame as they looked lovely on the packet! Not a patch on your freshly picked lunch though! 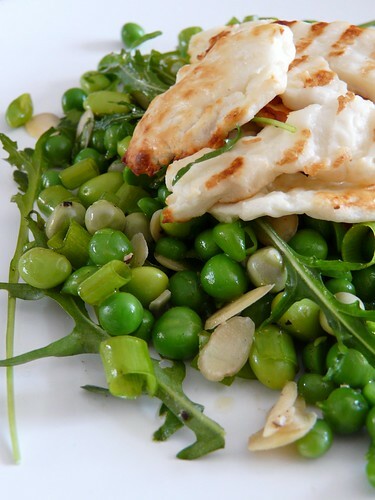 so green, so fresh, so beautiful – I wish I could have that for my lunch! Good grief that looks beaut Wendy. 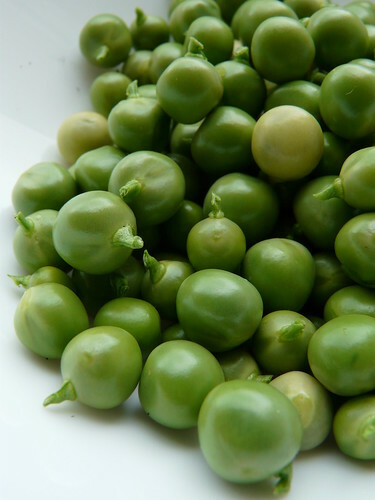 And I *love* the idea of peas.org – a whole website dedicated to peas. Superb. Looks absolutey fantastic – really fresh and delicious. Wish I had such a bounty in my garden. 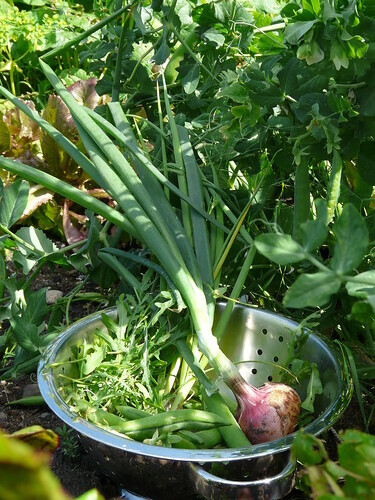 I’ve spent so little time in the garden this year for one reason and another and am lamenting the lack of fresh vegetables… Will do better next year! First comment to your blog. I am very surprised that people in your country eat edamame. That’s good to know! Green is always good, especially from your own garden. Beautiful, Wendy. Helen – I always have a few packs in the freezer. Love them! Johanna – It was very light and fresh. Just what I wanted that day. Antonia – My garden has been neglected recently too but it doesn’t seem to have done it any harm. The veg is going wild! Dumb luck. Naona – I lived in Japan for a year and used to eat them there. When I discovered them in an Asian supermarket here, I was delighted! Nic – Oooh, thank you. Off to look at that now. Edamame? In Inverness? Fresh or frozen? where where where??? Fran – Not from Inverness, unfortunately. From an Asian supermarket in Aberdeen… Can’t remember its name. It’s on Powis Place next to the Chinese restaurant though. Your fresh beans look so lively and green. They’d be the perfect foil to the haloumi.